Manufactured in Australia, exclusively for MAPAL by Houghton Australia. This alliance not only supports Australian Manufacturing and Australian jobs, and complements our superior service, supply and technical advice to you our customer. 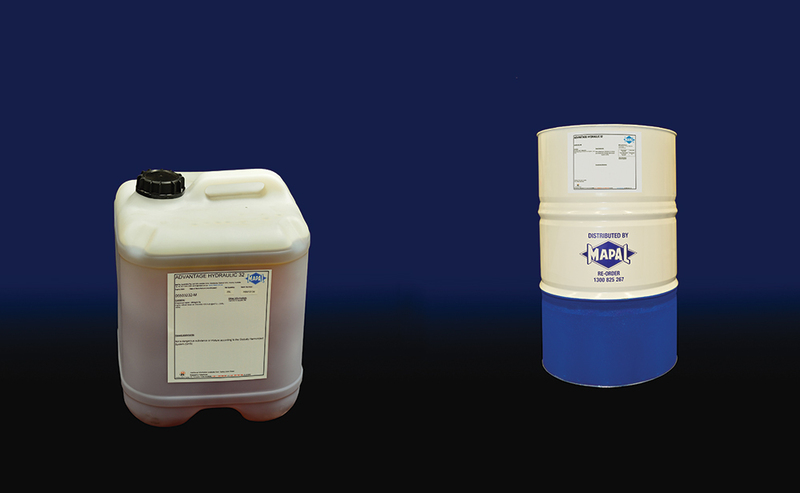 The range of products is designed to cater for all applications. We have been assisting with your metal working fluid requirements for over 25 years and our Technical Sales Engineers will continue to support you with all of your requirements. Contact us on 1300 825 267 and one of our experienced Sales Engineers will be pleased to assist. Low viscosity neat cutting oil formulated with extreme pressure and anti-mist additives. The extreme pressure properties of ADVANTAGE GP-NEAT provide excellent tool life and surface finish on a wide variety of metals and applications. The low odour and anti-mist properties of ADVANTAGE GP-NEAT provides improved conditions for machine operators. Product available in 20 litres pail and 205 litres drum. 1000 litres IBC on request. Today’s manufacturing environment requires products that are capable of performing in many applications. ADVANTAGE GP2-MD-SS is a uniquely bio-resistant, versatile, semi-synthetic coolant for machining and grinding of ferrous and nonferrous metals in medium to heavy duty operations. It is formulated with emulsifiers, lubrication additives and inhibitors that offer excellent residual fluid film corrosion protection. ADVANTAGE GP40 is a low odour, bio stable, semi-synthetic cutting fluid designed to give long sump life and effective cutting performance. It mixes readily with water to provide excellent corrosion protection and lubricating properties. The product is pleasant to use as it has a low odour and is transparent, thus giving good visibility of the machining process. Product available in 20 litres pail and 205 litres drum. Advantage GP60-MD-SS: ADVANTAGE GP60-MD-SS is a low odor, bio stable, semi synthetic, EP cutting fluid designed to give extended emulsion life. It mixes readily with water to provide excellent corrosion protection and lubricating properties. ADVANTAGE GP60-MD-SS is phenol-free and is formulated from solvent refined mineral oil and a composite emulsifier, anti-corrosion, EP lubricating system, providing long emulsion life without the problems associated with coolant degradation caused by bacterial and fungal contamination. The high degree of corrosion protection has been achieved without the use of nitrite or other undesirable components. Advantage P1-HD-SOL is compatible with hard water, is clean running and uniquely bio-resistant which assures long, odour-free sump life unobtainable with traditional bio-stable and other water soluble fluids. Advantage P1-HD-SOL provides corrosion protection without staining and affords excellent lubrication for machine ways and indexing mechanisms. Low foaming characteristics make Advantage P1-HD-SOL ideal for high speed CNC machines and high pressure coolant systems. Advantage P2-MD-SS is suitable for use in a wide range of machining and grinding operations. Excellent surface finish and tool life can be expected in severe operations even on difficult alloys such as stainless steels and high silicone aluminium. Advantage P2-MD-SS is compatible with hard water, is clean running and uniquely bio-stable, which assures long, odour-free sump life unequalled by conventional bio-stable and other water soluble fluids. 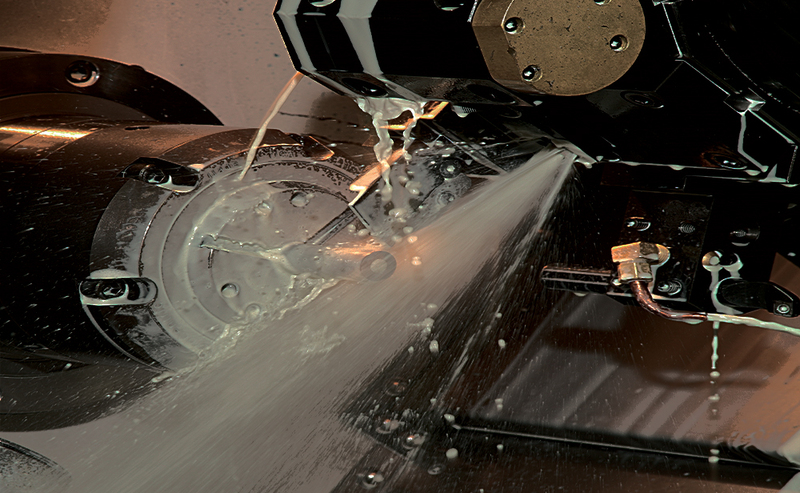 Advantage P3-HD-FS is a synthetic coolant for machining and grinding of ferrous metals. It forms a clear, transparent solution that facilitates tool set-up and close tolerance grinding operations. The extreme pressure additive package incorporated into Advantage P3-HD-FS provides excellent lubrication and anti-weld properties, enabling its solutions to perform difficult machining operations. Advantage P3-HD-FS has a clean, fresh odour and is mild and non-irritating to operators’ skin, while its synthetic additive package assures economical, long-term performance. Advantage Slideway Lubricants are specialty lubricants blended from highly refined mineral oils containing good lubricity, tackiness and extreme pressure additives. 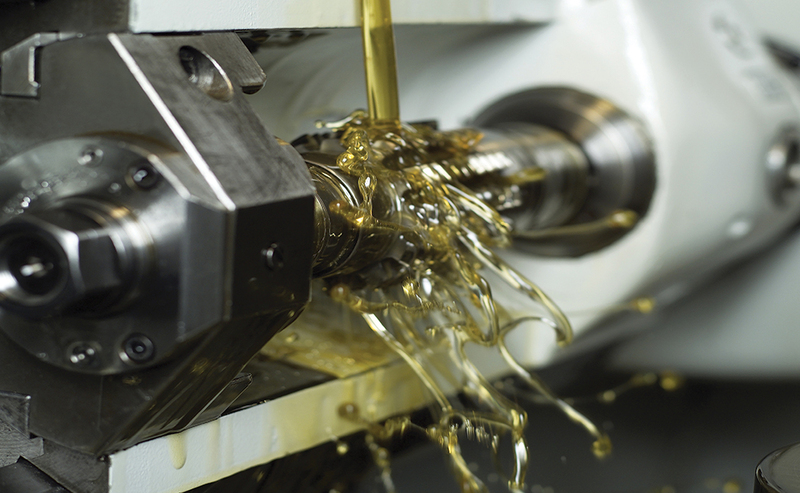 Advantage Slideway Lubricants are designed for use on machine tools to eliminate or minimise “stick-slip” problems enabling finer adjustment of cutting tool feeds and improved surface finish of the work pieces. Advantage Hydraulic OILS: 32, 46, 68, are formulated from a high quality neutral oil base and specially chosen additives to give excellent anti-wear performance. In the high pressure, high temperature Vickers pump test the wear results obtained indicate that these oils have excellent anti-wear properties and therefore the ability to significantly reduce pump wear.